Spencer Kimball, CEO & Co-Founder, Cockroach Labs, delivers their talk, "Did you accidentally build a database?" 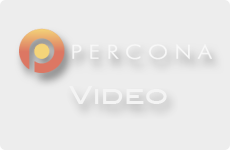 on day 2 of the 2016 Percona Data Performance Conference, 4/20/2016, in Santa Clara, CA. Ernie Souhrada, Database Engineer and Bit Wrangler, Pinterest, delivers their talk, "Operational Buddhism: Building Reliable Services From Unreliable Components "on day 2of the 2016 Percona Data Performance Conference, 4/20/2016, in Santa Clara, CA. Siying Dong, Software Engineer, Facebook Inc delivers their talk, "RocksDB: Key-Value Store Optimized for Flash-Based SSD "on day 2 of the 2016 Percona Data Performance Conference, 4/20/2016, in Santa Clara, CA. Bill Karwin, Senior Database Architect, SchoolMessenger, delivers their talk "InnoDB Locking Explained With Stick Figures" on day 2 of the 2016 Percona Data Performance Conference, 4/20/2016, in Santa Clara, CA. Kat Styons, Senior Full Stack Developer, The Washington Post delivers their talk Shifting the Paradigm: MongoDB and the MEAN Stack on Day 2 of the 2016 Percona Data Performance Conference, 4/20/2016 in Santa Clara, CA. Ryan Lowe, Production Engineer, Square, Inc. delivers their talk Tooling for GTID on Day 2 of the 2016 Percona Data Performance Conference, 4/20/2016 in Santa Clara, CA. Effective queries are a core requirement of MySQL performance. Even a perfectly optimized MySQL server running on the most powerful hardware can lag due to badly optimized queries. EXPLAIN is one of the most powerful and always-available query tuning instruments built-in to MySQL.